Today is Day 1 of the sneak peeks for the November product release at Craftin Desert Divas. 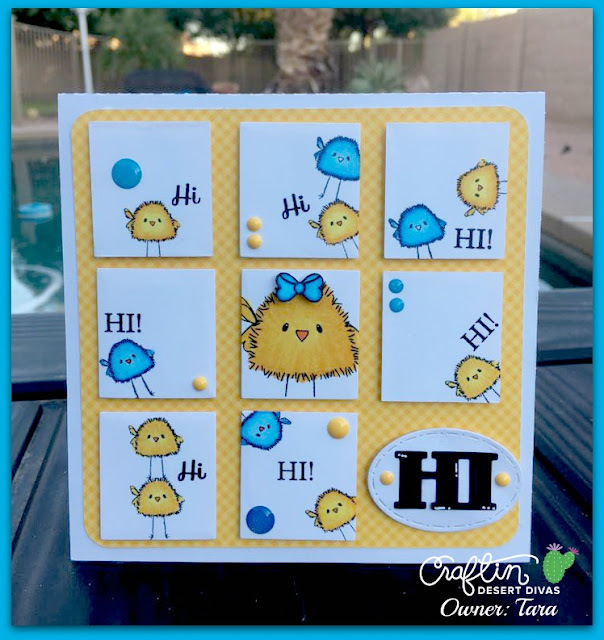 I have created this super fun tile card. 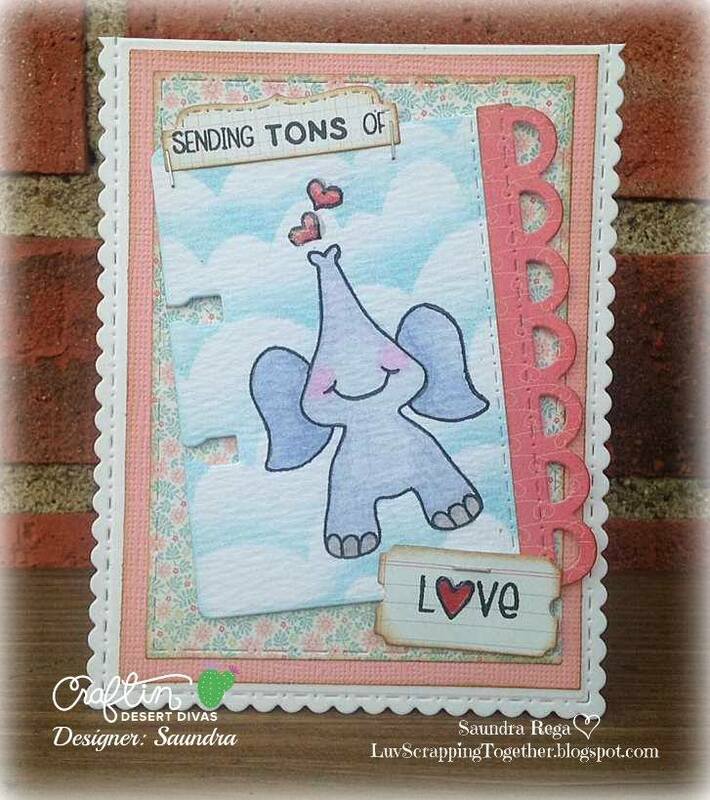 I've used the squares from the new Pocket Pieces Hello Dies to cut out each square on this card. 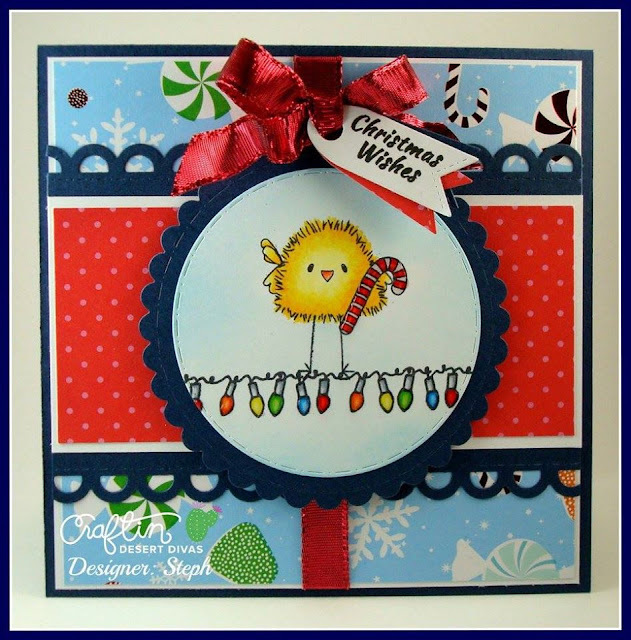 I then took those adorable little chickie birds and stamped them all over each square. 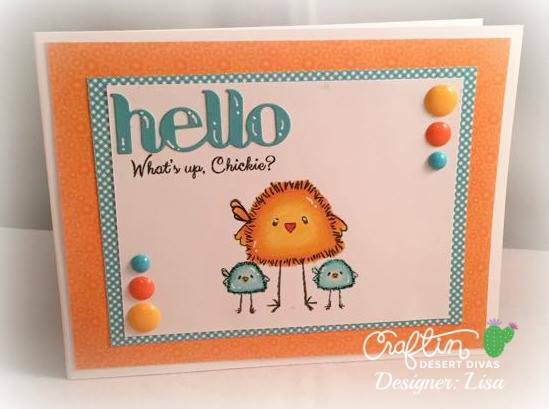 Those are seriously the cutest chickie birds I've ever seen!! 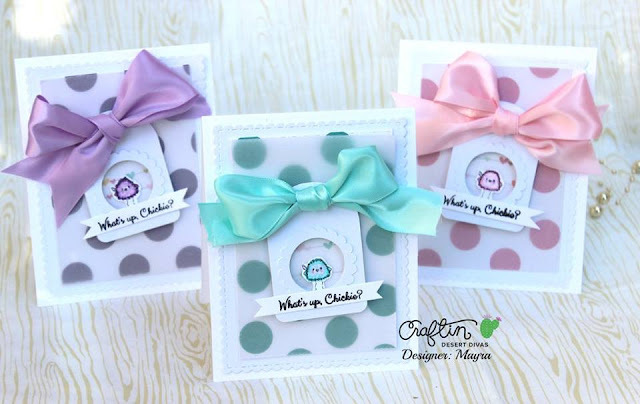 And as you can see with the dt projects pictured below, they can be used in several different ways for all sorts of occasions. I've colored all the birds in with my Copic markers. They are small enough so coloring is super simple on them. I've also used the word HI from my Panda Pals and Short & Sweet Tag stamps to go along with the HI die from my Pocket Pieces HI Dies word. 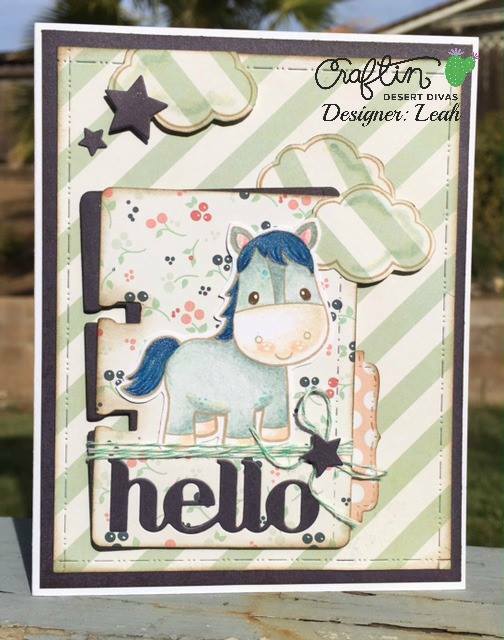 The word HI is mounted on an oval stitched die from the new Pocket Pieces Hello die set we are showcasing today. My paper and sprinkles are both from Doodlebugs. I hope you have enjoyed my sneak peek for today. Be sure to come back tomorrow for more. OMG!! That is so adorable!! 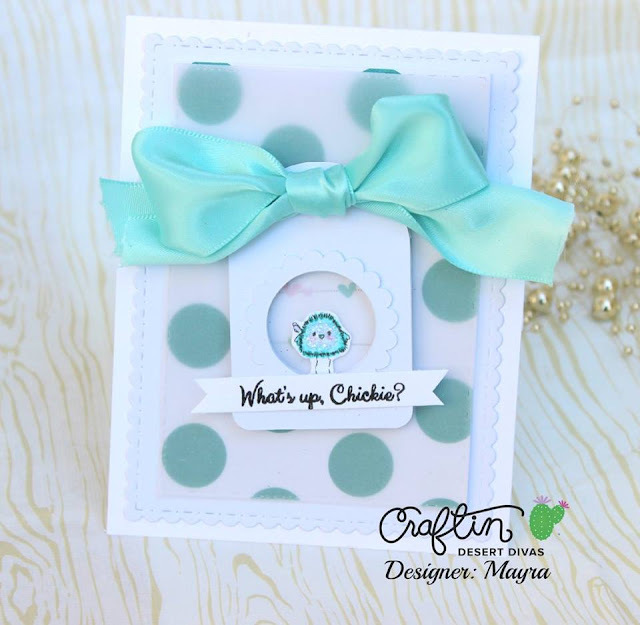 LOVE your CHEERY chickie card Tara!!! 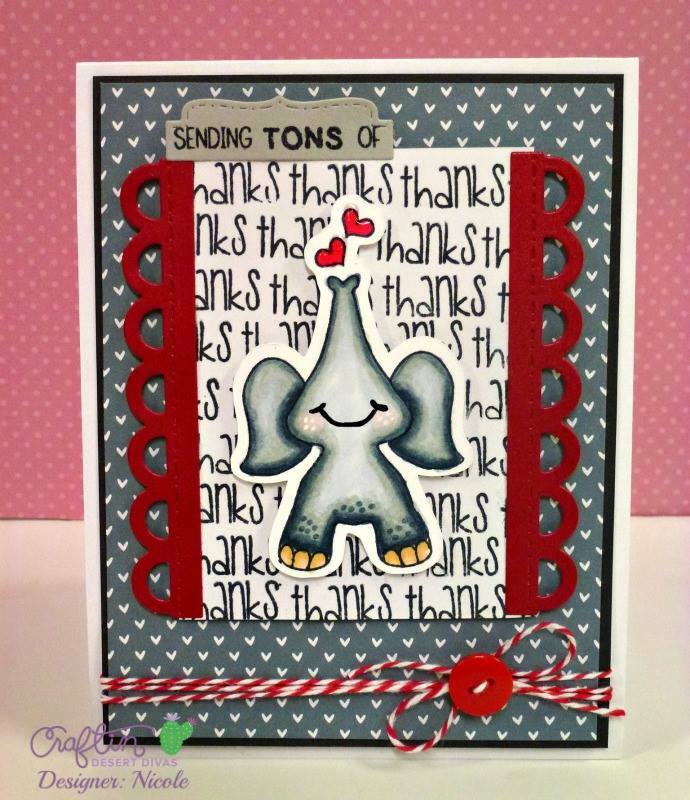 EVERYONE has been SO CREATIVE with their PRETTY colouring & CUTE designs!!! 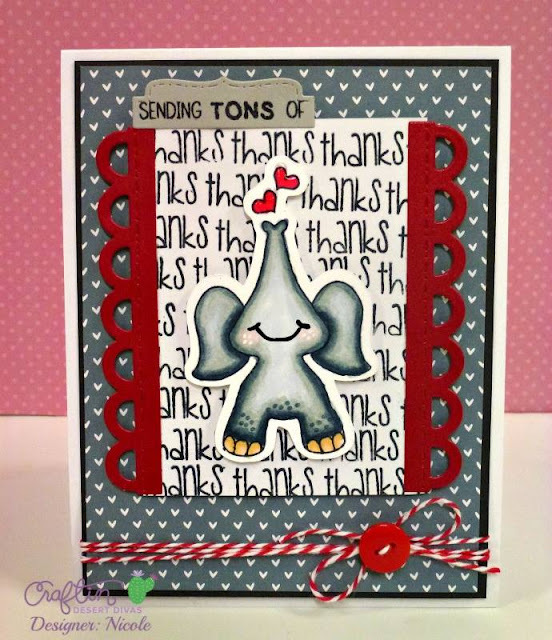 THANK YOU for sharing EVERYONE and THANK YOU for the freebie too!!! 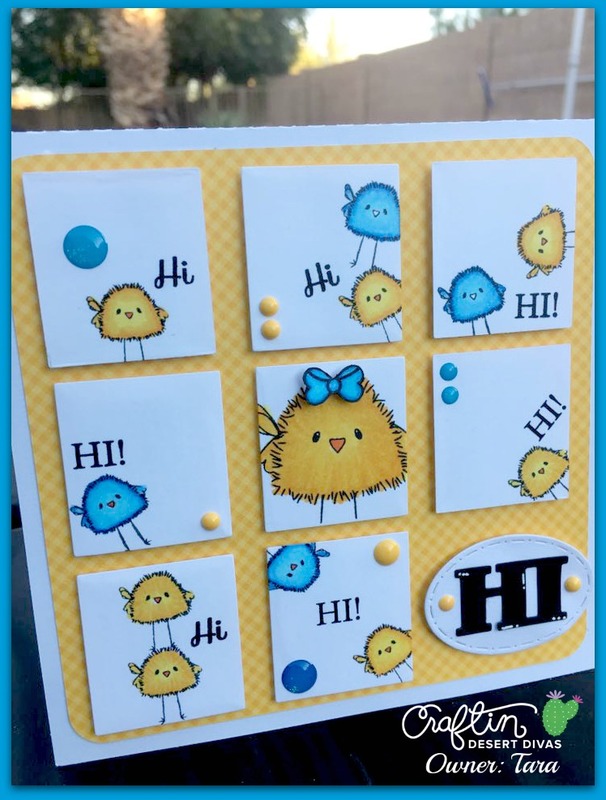 Your card is super adorable!! 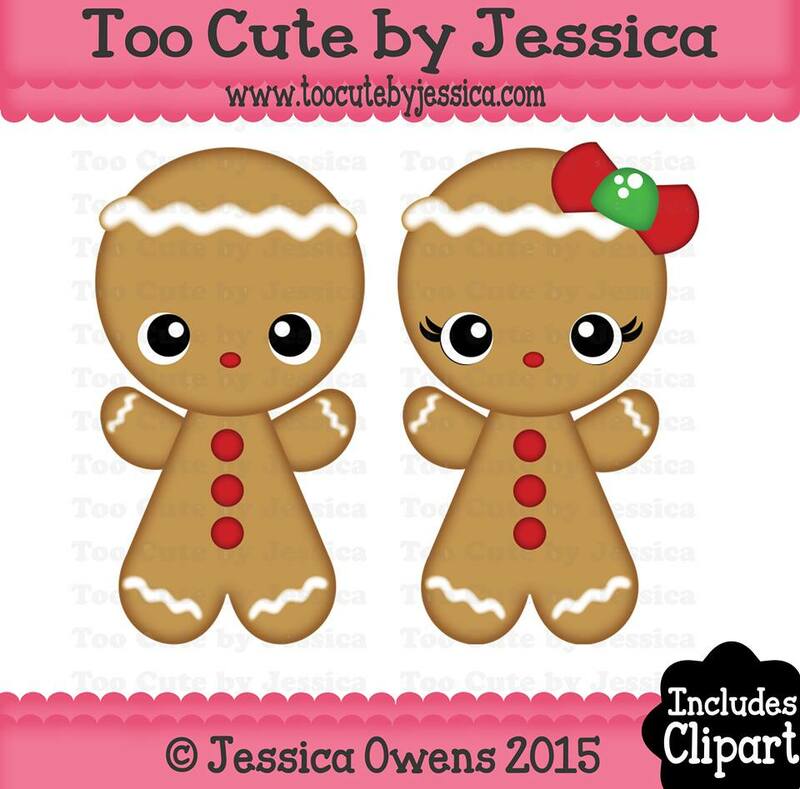 Cute creations. Like the coloring & arrangment of them. Especially like the shaker style card.